9 You’re at the point of decision. 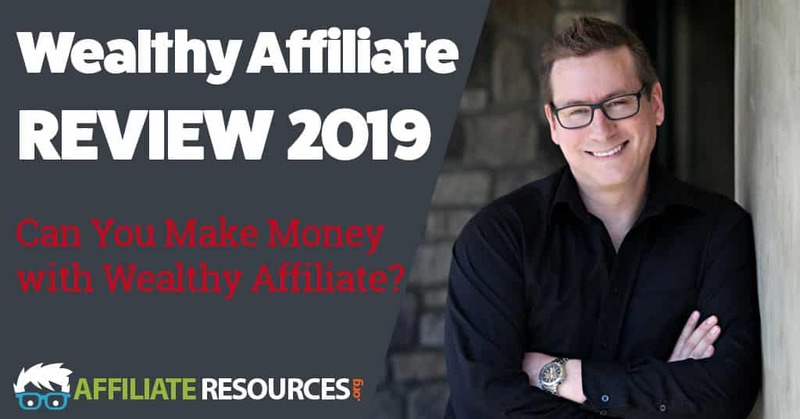 Throughout my 12 years at Wealthy Affiliate, I have continued to improve my own online business success as the direct result of the training, tools and support offered within Wealthy Affiliate. The Wealthy Affiliate Review you are about to read is based on my own personal experience as a long time member and how I developed into the official live training coach inside Wealthy Affiliate. I will become your personal mentor/coach who will guide you down the right path of success (testimonials are below). Back in 2005, a couple of young Canadian guys (Carson & Kyle) started Wealthy Affiliate as a mere keyword list membership offering huge databases of high searched keywords for Pay-Per-Click campaigns. With Carson & Kyle already having online success prior to Wealthy Affiliate inception, it was only fitting that they created a website to help others learn how to be successful by following their model. Throughout the years, the site developed more and more into a training portal as they added a forum and some training material. This addition was a huge hit as more and more people joined based on other member’s feedback on how their training was innovative and up to date, an uncommon trait in the internet marketing training space. But it didn’t stop there, Carson & Kyle always had the vision of constantly improving the membership and to help people learn about internet marketing by offering the BEST training platform available online. And they have far exceeded that vision. Today, Wealthy Affiliate has been around for over 12 years and has more tools, training and support resources than any other place online. The whole intention of Wealthy Affiliate and joining the site is to learn about online marketing. The challenge of creating any learning portal is accommodating everyone learning style such as visual learners and reading learners. Wealthy Affiliate’s training covers all the bases. All the training inside the site is easy to follow and has a comment area right within the training to ask questions. Your questions are answered by either other members or by the founders respectively. The training comes in several different formats and I will break each one down individually. As you get rolling with a Starter Account (which is free), they encourage you to dive right into the 1st course which is called Online Entrepreneur Certification – Getting Started (Level 1). This course has 10 lessons and the end result is to really familiarize yourself with the concept of affiliate marketing. As you go through the Level 1 training, there are several action based items that are required to complete. This is awesome because it keeps you engaged and allows you to interact within the community. Including the level 1 course, there are a total of 5 certification courses. Online Entrepreneur Certification – Making Money! Levels 2 through 5 are premium level courses which are similar whereas they all have several action based items that are required to complete. All of these certification course are awesome and I personally find myself going back to these courses once in a while to refresh my memory. It’s what I recommend for you to do also. All training modules have an area where you can ask specific questions about the training which typically get answered within a few minutes. To keep things up to date and engaging within the site, Wealthy Affiliate offers a weekly live video classes that have different topics each week. As mentioned earlier, I am the official training chief who broadcasts the classes and have been doing this inside Wealthy Affiliate for over 5 years now. You can see my picture on the About Us page of the Wealthy Affiliate website. Each week, I come up with different relevant topics on internet marketing ranging from step-by-step processes to hot seats. The live training caters to all skill levels as I try to incorporate beginner and advanced topics within each webinar. Now I am sure you have attended a live training session from some other company and there is usually some sort of upsell or product to buy at the end. Well, I am proud to say that there are no upsells within the live training at Wealthy Affiliate. Every live training session is recorded so if you are unable to attend live, there is a recording available within 24 hours after the live broadcast. You can also leave a star rating and review for each session which is shown to all the members. Here are a few reviews that outline what Wealthy Affiliate members think of the Webinars. One of the best elements that I love about Wealthy Affiliate is the community and how abundant and caring it is. There truly is a genuine need to help each other and this is highly evident in the Community training. When you are a premium member of WA and have passed a certain time frame, you have the privilege of adding your own training inside the members area. This is awesome because it creates a great diverse set of learning opportunities from other members who have experience in various skills. For example, if you wanted to learn about how to create graphics for your blog; there is training on how to do this step-by-step. Members then get to rate and review the training so others can see how beneficial it is. There is also a strict no spamming or selling policy within the community training and is monitored constantly for anything like that. To run any type of business (offline or online), you need a good set of tools that deliver results and are easy to use. All the tools available inside Wealthy Affiliate are very easy to use and deliver awesome results. Let’s go into the details of each toolset. The WA Keyword tool gives you the ability to learn what people are searching inside Google to find information. To get your website in front of those people searching, you need to understand the audiences’ search behaviour and the WA Keyword Tool shows you just that. It will show you how many times a keyword is searched in a given month and how competitive the keyword is in terms of other sites trying to rank for the keyword. Laying a good foundation to any online campaign starts with proper keyword research and the WA keyword tools does just that. The SiteRubix tool helps you build website in a matter of minutes. This (by far), is the coolest application I have seen when it comes to building websites. Wealthy Affiliate has some of the best WordPress hosting around and is setting industry standards. Dealing with hosting can be such a huge hassle and WA site hosting takes all the stress away as they have made is super easy.  Not only is the hosting super fast and reliable, it seamlessly integrates with SiteRubix and Site Domains (which I discuss further down) to make your website building experience a breeze. Now the best part of this is that it comes with your premium membership, there is no additional cost to host your website. This is the latest feature that Wealthy Affiliate has added to it’s toolset and it’s a game changer! You are now able to buy your domain names right inside of WA and works seamlessly with WA Hosting and SiteRubix. If you have ever purchased a domain name in the past, then you can certainly relate to the many upsells or technical realities that come attached with a domain name purchase experience. WA Site Domains takes away the domain name stress and is very competitive in terms of the features that come along with a domain purchase. Have a look at the comparison table below to see what’s included with your domain name purchase. Here is where Wealthy Affiliate dominates the competition as the support offered inside WA is simply awesome. It doesn’t matter what level of online marketing skill you are at, there is a support channel for everyone. It’s extremely important to have the help you need as it will only speed up your learning potential. I admit that there are some great course available on the internet where you can learn how to become an affiliate marketer, but those course just leave you hanging and don’t offer any kind of real support beyond technical issues with their own website. The Wealthy Affiliate support channels are on-demand and help you with your training, your site issues or need some inspiration and advice on your progress. The Live support is the heart and soul of the Wealthy Affiliate community and provides everyone with instant answers to questions, personal help, coaching, and the ability to interact in real-time. The Live Support is available 24/7 so it doesn’t matter what part of the world you reside in – the live chat support is there. For even more of a personal one on one experience, you can contact any Wealthy Affiliate Premium member privately to discuss your online training or projects. You can even contact the owners Carson & Kyle for some private coaching or feedback whenever you need it. I find this is the BEST way to get some individualized feedback for your campaigns or just need some advice on how to get started. As mentioned above, WA has Live Video Classes where at the end of each lesson there are live question and answer sessions where you can get answers to your questions via a live video feed. If you ever needed some crowdsourced feedback on your website or a specific page of your website, the Website Feedback Platform is a great way to get it. It works on a credit system where you give feedback on 2 sites in exchange for 1 site feedback request. These classrooms are similar to a forum where you can ask your questions and someone within the community will provide an answer for you. These are great because you can search within these classrooms as the answer may already be available from an earlier post. To become successful, I think it is important to surround yourself with successful people and interact with them. Within WA, there are thousands of members who have had various levels of success ranging from learning how to build an awesome website to an increased income to the point where they quit their day job. This is the opportunity where you can jump in and mingle with those successful people inside of Wealthy Affiliate (including me) all while you are learning to build and run your own online business. It is important to note that this is not a get rich quick scheme as it takes time, hard work and dedication to build your business and achieve any level of success. But if you really buckle down and work hard, your success will come. Along with all the awesome support channels available in WA, I will also be your personal one-on-one coach to guide you through your online journey. So, you will have Kyle, Carson (the co-founders) and Me at your side, guiding you along the way. All this is waiting for you on the other side of WA. You can even follow along the case studies, step-by-step and see exactly how it is done. All you have to do is get started with your Starter Account. When you create your Starter account, you’re going to get a message from me inside your personal profile welcoming you to the community. Be sure to send me a reply with any questions you may have, because I want to ensure you don’t run into any snags while you’re learning. From the education, the tools, the support, the network, the websites, and the community. But if you want something different to happen, if you want to change the direction of your income, you’re going to have to do something different. Make a new exciting choice, and pursue your new outcome. Click the button below, create an account at Wealthy Affiliate and you will immediately be enrolled. It will contain everything you need to get started.